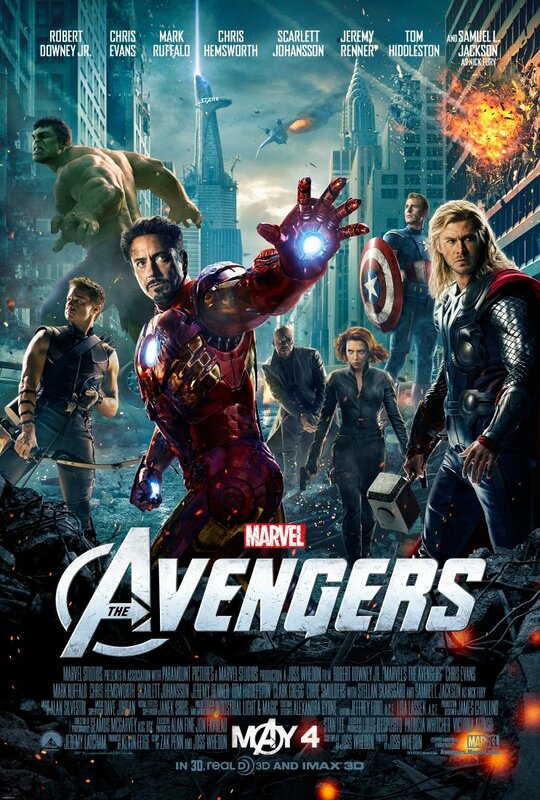 Essential plot rundown: A group of superheros must band together to protect earth from an invading army. Ok, I've been waiting for this movie for a long time now and I'm a little mad at myself for not seeing it at the midnight showing. But, such is life. I really enjoyed this movie. It was a lot of fun. However, I was anticipating the climatic fight at the end so much that I wasn't really caring about what was happening before. I felt the build up was a little slow. I just wanted to it to move along so I could see some Avenger action! I felt the opening scene was a little weak and was kind of disappointed. It trudges along but once the team finally gets together, it starts picking up. There was a certain part of the story that surprised me. A certain someone dies. I didn't realized how much I liked the character til I saw him sitting on the floor dying. It actually brought a little tear to my eye. I liked the dynamics between the characters. I thought it was well written. I also thought they did a good job of brining in Thor. While I was watching it, I was thinking Ok, they have everybody. But what about Thor? He's over in Asgard. How are they going to contact him? I liked how he got involved and the fight scene between him and the others actually makes sense. Ok, let's talk about a couple of bad things real quick. I was a little confused about the whole invading army thing. I didn't know who they were or anything. And I also didn't really like Captain America. I thought his movie was the worse of the lot and seeing him in The Avengers didn't help any. He just seemed out of place. He's just a big, buff guy with a shield; he doesn't have any super powers or anything. He spends most of his time with Hawkeye and Black Widow. Tony Stark drops a line about him not doing anything and I totally thought it was true. He doesn't bring much to the table compared to the others. Let's move on to the Hulk, starting with the bad. I didn't like Mark Ruffalo as Bruce Banner. I talked about this when I discussed the trailer, but I don't believe that Mark Ruffalo is Bruce Banner. All of the others I believe, but not him. It might be because he is the third actor to play Banner; but I didn't even like him from the trailer. He doesn't seem like a very good actor. Also, he kept refering to the Hulk as "the other guy" which bothered me. He's not a different person, just a different part of you. But the Hulk wasn't all bad. He was actually one of the best, if not the best, part of the movie. I was totally expecting Iron Man to steal the show but I thought the Hulk did. The two best scenes of the movie involved him. The part in the climax when he first changes into the Hulk literally gave me goosebumps, I thought it was so awesome. And the part when he fights Loki was hilarious. I hadn't heard a theater out open laughing like that in a long time. It was awesome seeing him smashing things on the big screen again. Overall, it is a really fun movie. The best was the Hulk and the worst was Bruce Banner and Captain America. The action was great, the story was good. There were a few small complaints, but nothing that really distracted from the awesomeness of it. So, I saw The Avengers again today and thought that I'd add a couple more things. Mainly, I was impressed with the acting of Scarlett Johansson (Black Widow), Tom Hiddleston (Loki) and Stellan Skarsgard (Selvig). I thought that all gave great performances. I absolutely believed that they were their characters. And another thing. I realized that what they did to win was quite simple. If they were prepared, they could have did all of that and saved the day in like 5 minutes. But that would have made for a very lame climax for a movie. One final thing. In the movie, a certain character dies. It did make for a somber moment and motivate the team, but it seamed a little unnecessary. They could have probably found another way to achieve the same thing. But I wonder why? Did they kill him off strictly for plot advancement? Or was that just a way to write the character off? Maybe the actor or the studio wanted a separation. I know that Nancy Allen only reprised her role in Robocop 3 only if her character was killed towards the beginning, for personal reasons. I don't know. It just seems weird to me that they would kill off that character solely for story. I want to think that there were ulterior motives. But I'm rambling now. So, I've been thinking about the aforementioned character's death. And decided I don't like it. I'm just going to assume that you have already seen it. (I mean, seriously, who hasn't?) Agent Coulson dies. 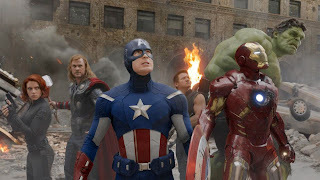 Fury then uses his death to motivate the Avengers. But, the problem is that only two of them knew he died. Thor and Hulk were elsewhere when this happened. They didn't even know. So, was he planning on just motivating whoever was there? Also, none of the characters really had a relation with him. (I'm judging this purely on the movies. There may be some other sources elsewhere that establish relationships but the movies don't). The only one who really knew him was Iron Man. Thor was interrogated by him. And Cap' and the Hulk didn't meet him 'til The Avengers; though Cap' knew that he was a huge fan. So, I don't see how his death would be any more motivating than anybody else's or the end of the world. Yea, so now I'm just mad that he died.